Five lost nights in Mitte: a curated preview of Berlin Atonal 2017. 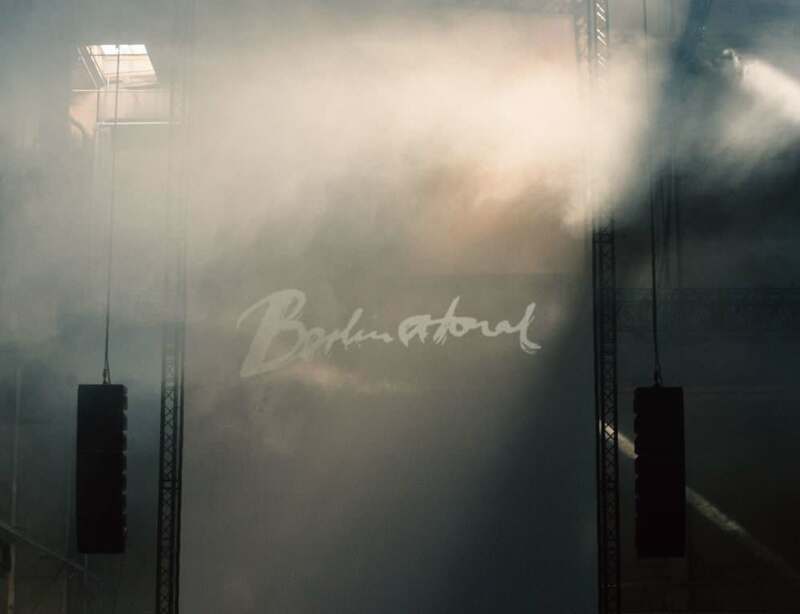 Contrary to the scorched turf, open air and lager-governed hedonism of large-scale, outdoor festivals across the UK, Berlin Atonal represents an alternative proposition to sitting in a field, loading up on lukewarm Fosters and tolerating mediocrity. Founded by Dimitri Hegemann and originally conceived in 1982, Atonal ran for eight years in its first incarnation, hosting a renowned cast of artists from the industrial scene, Psychic TV, Einstürzende Neubauten, and Test Dept amongst them. Recounting its first year, Atonal’s founder described the event as something close to a ‘thrilling theatre program’, one that was committed to experimentation and ‘chaos research’. As if to demonstrate such commitment, the same year Einstürzende Neubauten used a jackhammer onstage. 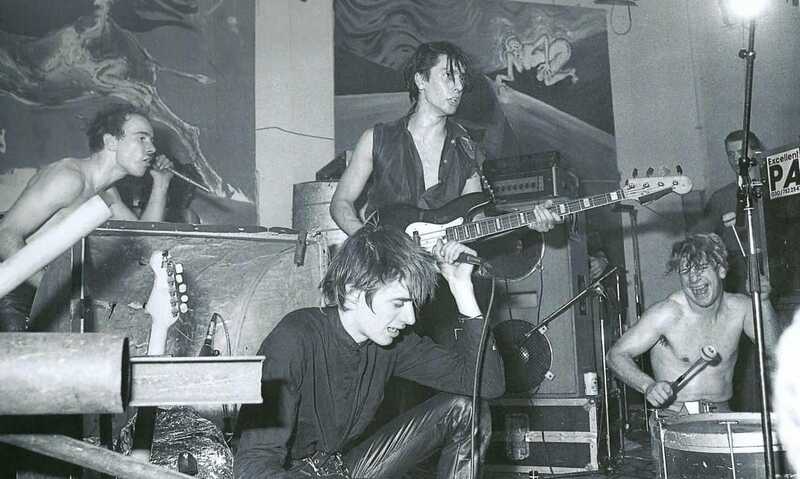 In the far-left rafters, above the speakers, a Neubauten member proceeded to drill into the concrete of SO36 supposedly missing an electrical mainline by a few inches and narrowly avoiding electrocution. Apparently, they lost control of the tool again backstage. As with anything that concerns 80s Berlin there are probably countless other stories to relate. After 1990 the cultural dynamic shifted and with the fall of the Berlin wall Hegemann diverted his attentions to his club Tresor, which is now housed in the same complex as the recently reconvened version of the festival. Resurrected in 2013 and presently organised by Harry Glass, Laurens von Oswald and Paulo Reachi, today Atonal remains committed to the marginal and experimental, reflecting a sense of ambition and diversity that transcends its roots in industrial and its connections with techno. The unique attraction of the festival in recent years has been the focus on premieres of new projects - some site-specific, others previously unseen – as well as several audiovisual collaborations, both of which contribute to Atonal’s standing as a distinct experience, not only in comparison with major, commercial festivals but even in respect of other similarly minded events like Unsound and CTM. The 2013 edition invited Glenn Branca, 2014 saw the controversial live revival of Cabaret Voltaire, 2015 a rare opportunity to witness Tony Conrad & Faust’s acclaimed collaboration ‘Outside The Dream Syndicate’, and last year premieres from the likes of Loke Rohbek (under the guise of Croatian Amor) and Drew McDowall (former collaborator with Coil and Psychic TV) sat alongside performances from Moritz Von Oswald and Rashad Becker and the late Mika Vainio (RIP) and Daniel Pflumm. This year’s line-up maintains the calibre yet arguably substitutes any obvious major headliners for a consistently strong programme across the five days. With the second round of line-up additions recently announced there’s a lot to take in and therefore preferences and potential highlights to be identified. So here’s a curated selection of some of Atonal’s more interesting possibilities and happenings. This may help attendees find what they’re looking for in the pitch-black recesses of Kraftwerk or it might merely affirm already established decisions. Either way if the prospect of Puce Mary hollering in your face in a former power station in East Berlin is preferable to the en masse pint-swilling and flaccid faux-anthemics of a Kasabian encore – and to be honest that should apply to most of you – then read on. Whilst there’s plenty on the opening night that merits attendance, namely a special presentation of Karlheinz Stockhausen’s high concept, aurally interactive octophonic system Oktophonie (an ‘8-channel spatial acousmatic piece’) one event further down the schedule could prove equally memorable. DDS, the label helmed by Sean Canty and Miles Whittaker of Demdike Stare, has progressed from a place for their own self-released material to a fully-fledged outlet regularly inhabited by the likes of Shinichi Atobe, Mica Levi and on rarer occasions Stephen O’Malley and Nate Young. Here DDS showcases some of its more recent additions to the roster, including Robert Aiki Aubrey Lowe, Antinote affiliate lueke, and what may be a wildcard for the best performance of the festival, Equiknoxx, the Jamaican production duo currently contorting contemporary dancehall and dub to their own skewed dimensions. For a festival with a reputation for the dour and the oblique, the DDS showcase could be a less oppressive entry point and the place to be for a dance, in contrast with the night’s other more forbidding and ruminative emissions. We’ve already mentioned Demdike Stare - who like Mogard perform a live audiovisual set on the second night – so it goes without saying that their show comes highly recommended, especially after their career best turn on ‘Wonderland’. Set to a backdrop display by Michael England – who’s also worked with Autechre – the visuals promise wyrd currents, giallo schlock and menacing psychedelia, as seen in previous work and during prior live performances. That’s why instead we’re highlighting Abul Mogard as a less feted choice for your second night entertainment. On ‘Circular Forms’, his 2015 release for Ecstatic, he revealed a proclivity for vast soundscapes with an emotive undertow. On his follow-up ‘The Sky Had Vanished’ he seemed to refine and expand his work, trading elegiac soundscapes with titanic sub-bass. Imagining what ‘Staring At The Sweeps of the Desert’ will sound like in a space like Kraftwerk projects the potentiality of an unmissable spectacle. More recently he’s produced a highly rated split release with veteran noise artist Maurizio Bianchi that might get an airing in some form. One to set the night off right before Damien Dubrovnik, Demdike and former Napalm Death drummer Mick Harris’ highly anticipated solo performance. From mutant pleasures and power station scale introspection to ecstatic punishment. Frederikke Hoffmeier aka Puce Mary has emerged as one of noise music’s most exciting new prospects, precisely because she diverges from what we’ve come to expect from the form. Hers is not the constipated barrage and remedial repulsion of a thousand power electronics sound-alikes but the considered accumulation and devastating rupture of a far more interesting and indefinite force. A run of records on Posh Isolation, including a number of collaborations with Loke Rahbek, has established a sonic signature which is characterized by unforgiving lacerations of abject static, tensile shadings of drone and abyssal depth. On her latest, 2016’s ‘The Spiral’, she occasionally favoured a restrained form of menace too, a quality perhaps best captured on ‘Enter Into Them’ and ‘No Memory’. It lifted her work into more significant spheres, broadening the brutality by channelling something uneasy, infernal, ominously discrete. Her live performance, judged at least by an unforgettable clip at Click festival a few years back, is likely to have the confrontational elements amplified to the severest extreme. Yet there’s still a mystery within the turbulence she conjures; as much suspense as there is agitation. Deafening, almost unbearable but a vital experience, this is likely to be the most ear-piercing, full-throated yet compelling display of the festival. Earlier material saw Shackleton specialise in concussive, disquieting soundsystem electronics realized on his label Skull Disco and the ongoing Soundboy odyssey. ‘Blood On My Hands’ – made timeless by a Villalobos remix – was the one that distilled these varied explorations perfectly, an inconceivably heavy bass hymn filled with pitched down apocalyptic poetry. Like The Bug and King Midas Sound, most of this material transcended the contrivance and compromise of later permutations of dubstep and UK bass, a physical proposition primed for playing out but one that was gradually edging into the kind of mythic, abstract interzones and sidereal chasms that Coil would have favoured, had they been more fixated on dub and pirate radio, rather than Stockhausen and the taboo. With the inception of his latest label Woe To The Septic Heart, those elements are becoming ever more pronounced, firstly on 2016’s collaboration with Ernesto Tomasini, then subsequently on this year’s link up with Vengeance Tenfold and now finally on this latest outing with Anika. It’s a collaboration that makes for an interesting premise considering her own form. Although her inceptive solo project – backed by Geoff Barrow and co – was slim on original material and suggested little prospect of any in the future, her work with Exploded View appears to have galvanised her and revealed more of her own identity. Having seen her perform a captivating live set as part of EV – one in which she entered the fray of the crowd and wilfully assumed the role of frontwoman – this could represent an exhibition of more of the same, albeit one geared towards more abstract and shadowy ends. On the basis of a first listen of ‘Behind The Glass’ they’re on a potent trip together, engaged in ritualistic dilation; the result of blending fragmentary dub techno, long-form minimalism, Nico’s more paganistic and psychoactive moments, a smattering of tribal drumming records and some strange form of stygian gamelan. If you’re on a bender at this point, god help you. Jonas Rönnberg, the inconceivably prolific producer, affiliate of Posh Isolation and Northern Electronics and evangelist of Gucci bags, Stone Island jackets and iPads as studio tools (to the apparent chagrin of RA comments boards) has realised his fullest and most enthralling artistic statement to date with the Nordic Flora series. The first edition, ‘Heroine’, maintained an unwavering thrust powered by a glacial rush of impellent percussion and punctuated by slashing fits of acidic feedback. There were also melodic touches and a comprehensive cinematic character to this first outing that transcended mere functionalism. Both vast in its horizons and heavyweight in its throttle, it was an insistent exhibition of Varg’s ability to make techno despite his propensity for frequently but understandably deriding the culture that surrounds it. Despite Heroine’s quality the ensuing editions of the series have deviated radically, displaying a range and an assurance that surpasses anything else Varg has ever done. As stated in these pages, part two, ‘en Ros röd som Blod’ (a title that translates as ‘A Rose red as blood’) widened the scope further to stunning effect. Across thirteen tracks ‘curious field recordings of street scenes and train journeys’ shared space with ‘beatific analogue synth sweep’ and ‘climactic spills of free improv drumming’ mingled with ‘pneumatic torque’ and ‘spaced-out, reductionist interpretations of toxic electro’. Hopefully this rundown helps to clarify who to see come August time. Here’s to a marathon of lost hours in a reclaimed post-industrial unit, to very little sunlight, to abused eardrums and to an absence of self-restraint onstage and off. Bring your jackhammers. 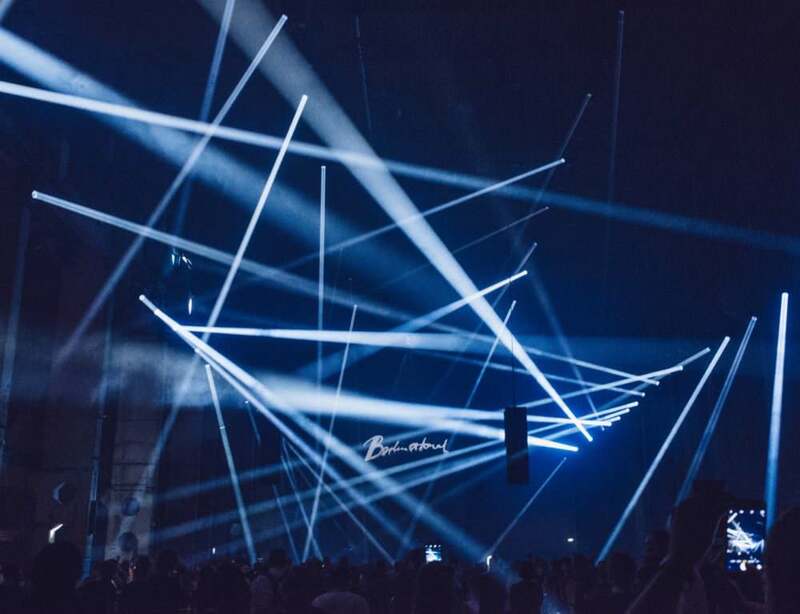 Visit the Berlin Atonal site HERE.